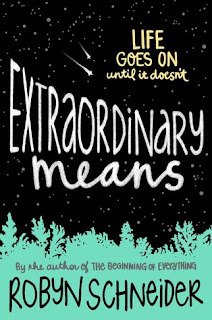 Extraordinary Means is one of the saddest books I have read in years. My friend gave it to me for my birthday and I didn't speak to her for the rest of the day once I had finished it because of how traumatised the book had left me. The characters where incredible in this book. I loved all of them. They were very realistic in their flaws and characteristics. My favourite character was Charlie, he was probably the least interesting which for whatever reason made me instantly love him. The plot was obviously very hard to read at point because of the severity of TB. I thought it was great how the character would joke about how they were going to die because I think it would be something you would do. I know I definitely would. In conclusion, this book will wreck you but it is worth it. I learnt loads from this book and cared so much for the characters. 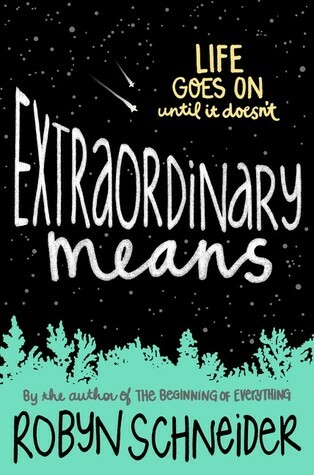 I'm giving this book 3.5/5.